• Hair care: shampoos, conditioners and styling products such as serums, creams, gels, mousse and hair spray. Claim substantiations include - curl retention, anti-frizz, volumising, entangling/detangling, anti-greasy roots and anti-dry tips, anti-dandruff and anti-hair loss. • Skin care: moisturisers, anti-wrinkle, anti-ageing and lifting products. Claim substantiations include - immediate and long lasting moisturising effect, anti-drying effects, exfoliating effects, tightening of pores, lifting effects, reduction of wrinkle depth, length and volume, anti-sebum effect, hypoallergenic. 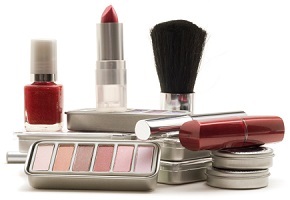 • Make-up and beauty products: Lipsticks, lipgloss, eye-shadows and blushers, foundations, nail varnish, eye liners and mascara. Claim substantiations include - gloss effect, long lasting effects of a foundation (12 h), long lasting effects of nail varnish (6 days), homogeneity of the skin, increase lash length, volume and curvature. • Bodycare and oral hygiene products: Shower gels, bubble baths, soaps, scrubs, moisturisers, tanning and slimming products, deodorants and anti-perspirants, toothpaste. Claim substantiations include - immediate and long lasting moisturising effect, anti-drying effects, exfoliating effects, smoothing of orange-peel skin, whitening effect. Clinical studies may be conducted under medical control (i.e. dermatologist, ophthalmologist, paediatrician, gynaecologist, dentist) or specialists (hairdresser, beautician etc.) and /or incorporate instrumental analysis to suit your specific requirements. We can also organise for Cosmetic Safety Assessments to be carried out to meet requirements of the European Cosmetic Regulation (EC) No 1223/2009. Eurofins also have many other capabilities within our portfolio, please contact our team for further details and advice at cosmetics@eurofins.co.uk or telephone +44 161 868 7600.